Look like a boss in a comfortable office chair on wheels! Exude confidence and style when you tilt back in some of the best executive office chairs around. Make your office your castle and sit on a throne of Pillow Top Office Chairs! Fabric office chairs on wheels are great alternatives to a Task Chair as you move from Computer Workstations to Desks or printers. 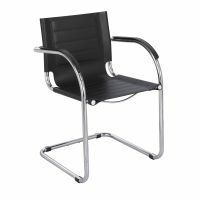 Sit at the head of the Office Table during meetings and soak up the comfort of Box Arm Chair style Office Chairs or Leather Office Chairs. Ergonomic Kneeling Stools will improve posture while you work long hours in comfort. 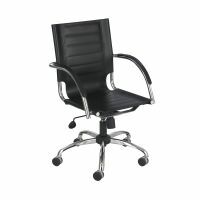 Sit back and relax during the stressful moments of your day and enjoy your new contemporary office chair! These Office Chairs will be sure to make your day more pleasant and less painful!